The quest for an airport in Western Virginia began in the late 1920s when Roanoke Mayor Charles D. Fox recruited experts to assist Roanoke officials in the planning of the city’s first aviation field. In 1929, the City of Roanoke leased 136 acres of land from the Cannaday family for an airport site. At this time, the airport was owned by the City of Roanoke, but operated by private investors, primarily Clayton Lemon and Frank Reynolds. The former Cannaday Farm location is where Roanoke Municipal Airport was established and, with a new name, still remains. Throughout the early 1930s, many firsts occurred at the airport site, including construction of the first hangar and air traffic control tower. In 1934, the City of Roanoke purchased the leased land, as well as some adjacent acreage, and American Airlines signed on as the first scheduled passenger airline providing service at the airport. American Airlines also began airmail service to Roanoke and Western Virginia. By the end of 1930s, the airport had become municipally operated, hired its first airport manager, built a paved runway and erected an additional hangar. 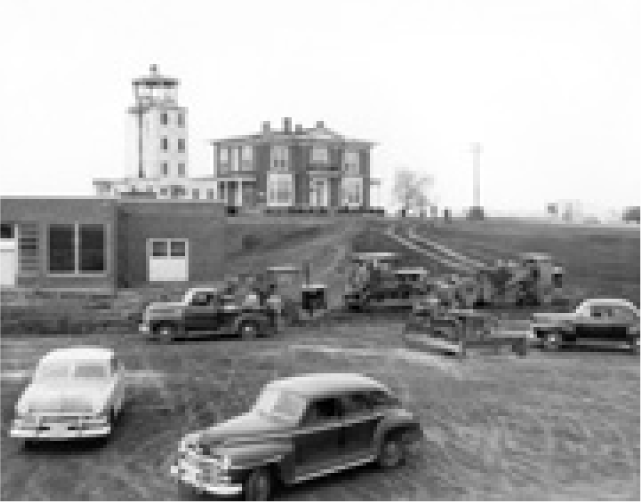 Roanoke Municipal Airport was expanding, allowing Western Virginia to grow with the times. By 1940, the airport boasted a total of 321 pilots and 21 privately owned planes—more than any other airport in the state. This was also the year Roanoke Municipal Airport qualified as a National Defense Project, making federal funds eligible for airport use. This new classification brought about many improvements, including the dedication of Woodrum Field in 1941 (named after U.S. Congressman Clifton Woodrum, who assisted in the airport being chosen as a National Defense Project), the creation of an airfield lighting system and the addition of administrative buildings. Eastern Airlines also began service to the area. Thanks to its military connections, the Airport’s operations outnumbered those of LaGuardia, Philadelphia and Washington National airports combined. 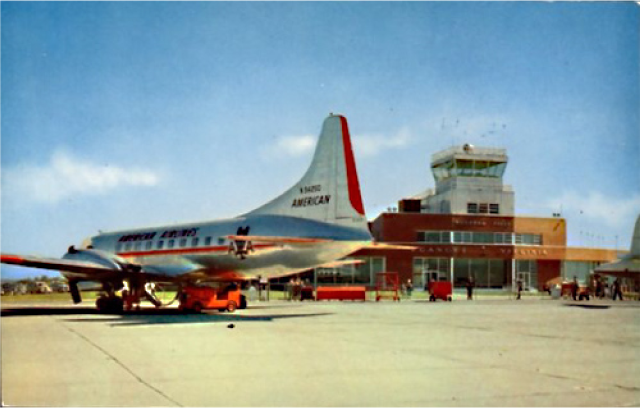 By 1947, Roanoke Municipal Airport had experienced its first jet landing – a Lockheed F-80 – and in 1948 Piedmont Airlines became a service provider. As the airport’s demand increased and airline requirements became stricter throughout the 1950s and 1960s, plans for expansion were discussed and made. 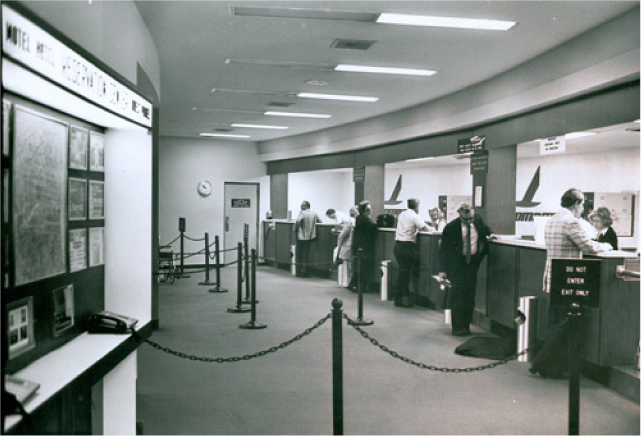 In 1953 a new, modern terminal was completed. Over the next two decades many construction projects were undertaken, creating the airport seen today. In May 1979, the airport celebrated 50 years of successful operations. A 50th anniversary celebration took place featuring restored military aircraft of the World War II and the Korean War eras, parachute jumps by the Navy’s Shooting Stars and aerobatic performances by pilots Chuck Cannady and Richard Perdue. 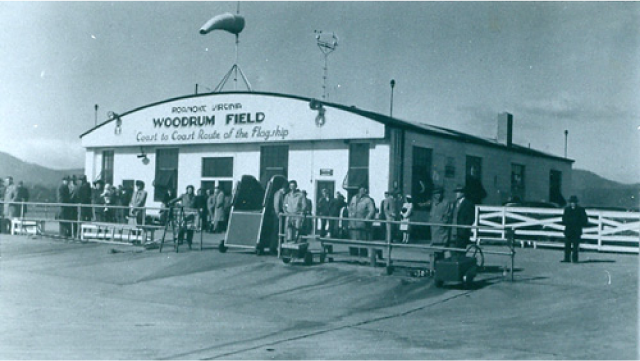 The name of Roanoke Municipal Airport/Woodrum Field was officially changed in 1983 to Roanoke Regional Airport/Woodrum Field. Throughout this decade, many changes were made to make the airport more convenient and easier to navigate. Upgrades were provided to the terminal, aircraft ramps, restaurants, parking lots and other facilities. In 1987, ownership of Roanoke Regional Airport was transferred to the newly formed Roanoke Regional Airport Commission. The Commission immediately began to market the airport, attract additional airline services and further upgrade the facilities. Construction on the current terminal began in 1987 and was completed in late 1989, making the Roanoke Regional Airport an aesthetically appealing, easy to navigate and thoroughly modern facility. During the next fifteen years, the Commission undertook the construction of about $56.7 million in airfield improvements, resulting in a virtually brand new airfield for this eighty-five year old facility. Beginning January 1, 2014 Roanoke's airport became known as Roanoke-Blacksburg Regional Airport. The new name reflects the growing economic connection between, and interdependence of, the citizens and businesses of the Roanoke and the New River Valleys. Things really are taking off at the Roanoke-Blacksburg Regional Airport.